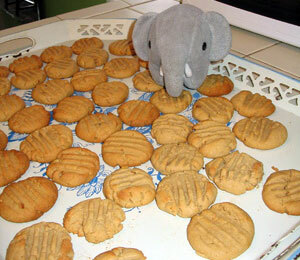 I baked peanut butter cookies and took them to a poetry reading! I didn't know if I'd like the poetry, so I made sure there was a tasty snack for everyone. As it turned out the poetry was as good as the cookies.